UPDATED, 1 p.m., Oct. 1 – Generator Hostels last week opened its first U.S. location in a former Miami Beach condominium. 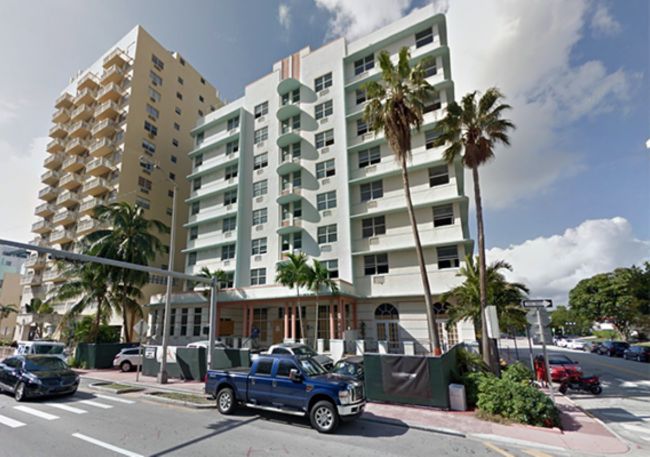 The London-based company opened Generator Miami in a refurbished eight-story building at 3120 Collins Avenue in Miami Beach, previously known as Atlantic Princess Condominium. Generator Miami has 105 rooms with 300 beds and provides daily housekeeping. Introductory daily rates range from $20 for a bed to $95 for a private room. Alastair Thomann, chief executive officer of Generator Hostels, told the Sun-Sentinel that the company will provide ample programming at the Miami Beach location including such activities as yoga classes, knitting classes and cocktail-mixing demonstrations. Generator Hostels has 14 locations including Miami Beach, Madrid, Berlin, Amsterdam, Paris, and Rome. The company soon will announce its 15th location, according to Thomann. London-based private equity firm Queensgate Investments bought Generator Hostels from Patron Capital for $494 million last year. This article was updated to correct the name of Generator Miami.